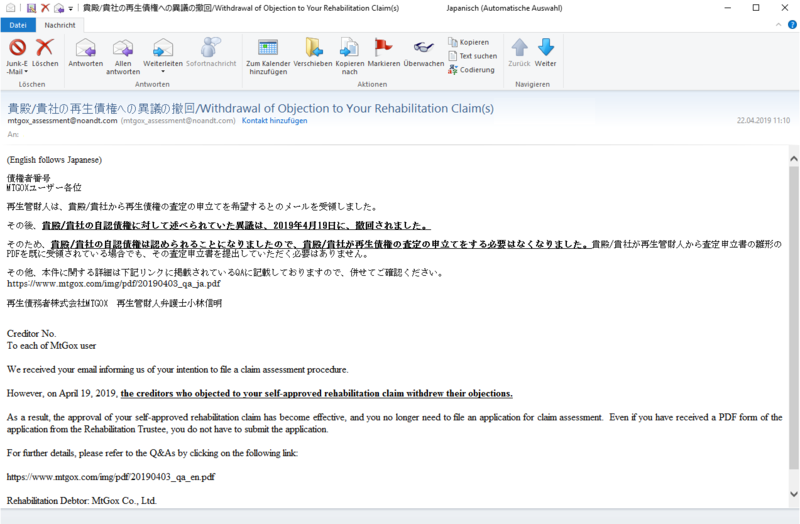 We received your email informing us of your intention to file a claim assessment procedure. However, on April 19, 2019, the creditors who objected to your self-approved rehabilitation claim withdrew their objections. As a result, the approval of your self-approved rehabilitation claim has become effective, and you no longer need to file an application for claim assessment. Even if you have received a PDF form of the application from the Rehabilitation Trustee, you do not have to submit the application. This basically means if you had any BTC on MtGox when it went offline. Even if you did not fill out a claim, there has been made a claim in your name for you and it is now approved. So you might in the end receive some of the BTC back, even if you did not lift a finger. Just to clarify. That does not mean it will happen soon. Nor do I know how much of the money is left. If you had money on MtGox you have made legal claims on that money even if you did not do so yourself and are now a creditor in the bankruptcy case of MtGox. Once the case is closed you will (probably) receive your share. 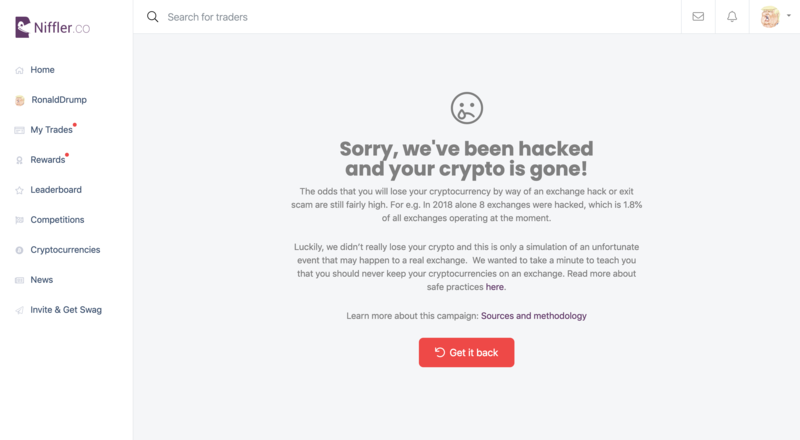 Kudos to Niffler.co for teaching their users that it’s not safe to keep crypto on exchange by simulating their own exchange hack.